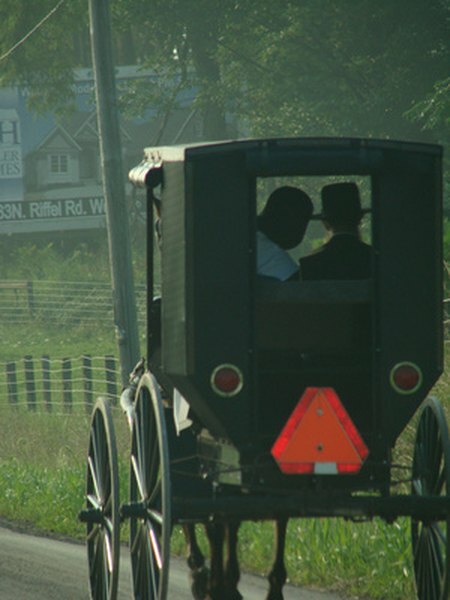 The Amish are exempt from Social Security on religious grounds. 1. Are Legal Residents Who Work Entitled to Social Security Benefits? 2. Who Is Exempt From Social Security Payroll Taxes? Americans began to pay Social Security taxes in January of 1937, and the first retirement benefits were distributed at the same time. Today, employees and self-employed individuals in the United States are required to contribute to the Social Security retirement and disability insurance system. The Social Security Administration and Internal Revenue Service grant exemptions for payment of these contributions to specific groups of employees and self-employed individuals. Students who work part-time at the college, university or school where they are studying are exempt from Social Security contributions. However, an exempt student must be present present at the institution primarily for education and not as an employee.Students must be enrolled for at least half the number of academic hours necessary for full-time student status in order to be exempt from Social Security payments. Nonresident alien students are exempt from Social Security contributions for up to 20 hours a week of employment as well as for employment connected to practical training for their coursework. Non-resident aliens who are in the United States as au pairs, academic scholars, researchers, teachers, interns or trainees are exempt from Social Security withholding. Foreign nationals who are present in the United States with A-visas are also exempt from Social Security payments. Their spouses and children are exempt only if their income is solely from foreign government employment. Non-resident aliens who are part of ship crews are exempt from payments if they are employed by a foreign-owned company on a foreign-owned ship. However, foreigners who work on US-owned vessels are liable for Social Security taxes if they perform duties in the United States or in American ports, or if they signed up for work on their ships while in the United States. All non-resident aliens are exempt from self-employment tax that covers Social Security. However, non-resident aliens who are citizens of countries that have totalization agreements with the United States, in which their American Social Security payments cover their retirement and disability benefits in their home countries, may be required to make self-employment Social Security contributions. Nineteen European countries, as well as Australia, Canada, Chile, Japan and South Korea, have such agreements with the United States. Members of certain religions, most notably the Amish, do not believe in the concept of Social Security or any form of insurance. These religious communities have systems in place to care for the elderly and disabled among their members. Members of any religion that has these beliefs and that has had an appropriate support system in place since December 31, 1950, can claim exemption from Social Security payments. The exemption is only granted if an individual has never received or been entitled to any Social Security benefits. Are Green Card Holders Living Abroad Eligible for Social Security Benefits? Do You Have to Pay Income Tax to a Nonresidential State?